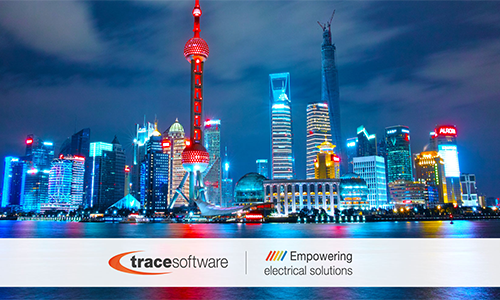 Trace Software International, leading company in the creation of design software solutions for the electrical engineering with 30 years of experience, is thrilled to announce that the undefeatable Chinese team has been unleashing the potential of a wide array of business opportunities within the Asian market. The last four months have been particularly interesting in terms of performance, witnessing the realization of one achievement after the other. In August, it was the time of the “IOT & WIT120 Industry Development Conference“, happened in Shenzhen. This Conference has represented a great occasion to reflect about the inner connection in between the development of the medical industry and the electrical & electronical technological advances. Specifically, the demand of intelligent devices for the medical industry is on the rise. They possess a great potential to enhance the experience of the patient and multiple are the innovative and traditional fields of their application in preventive medicine. Mr. Wang Rui, General Manager of TRACE SOFTWARE in China, has inaugurated the event with his opening speech about the design of mechatronics for the medical electrical systems, exposing a real case study within the medical industry. The customer uses TRACE SOFTWARE’s elecworks ™ software tool for the design and assembly of pharmaceutical equipment distribution cabinets. Its main features are real-time data synchronization, seamless integration, 3D in 2D, fast 3D design, based on the principle of design, automatic 3D cabling. At the same time, elecworks ™ can also integrate with Creo, Windchill and other PTC products to form an enterprise-class mechatronic solution. The second remarkable happening has been the 2 days elecworks ™ training class for 20 universities teachers hosted at the Wuchang Institute of Technology in Wuhan City. Trace Software technical engineer- Mrs. Jinling SHAO – had the pleasure to oversee the training together with the local educational partner Wuhan Keller Technology. But these have not been the only September challenges. In fact, TSI also hold a speech on ”Trends in mechanical and electrical collaborative design” at the China Electrotechnical Society Electrical Engineering Annual Conference 2017. In October Trace Software has been proudly chosen by the Ministry of Education of the People’s Republic of China for the National Corporative Education Program. The purpose of this initiative is to support universities in multiple projects within the electrical design and calculation industry. Trace Software International had the pleasure to share the chart with companies like Google, IBM, Huawei, Baidu, AWS, National Instruments and ANSYS. November has been the month of the International Exhibition on Electric Power & Electrical Equipment in Shanghai. This has been an excellent setting for the company to showcase its three winning software solutions: elec calc™ BIM, elecworks™ and archelios™ O&M for the buildings of today and tomorrow. Going the extra mile must be in the Chinese DNA as the first elecworks™ book “elecworks™ from 0 to 100” – written by Jacky WANG, Trace Software Chinese technical Director with 10 years of experience in the industry – has been published and it is already available for all the elecworks™ users and students. elecworks™ has also been the protagonist of the Teacher’s teaching competition hosted at Suzhou Higher Vocational School and proudly organized by the Jiangsu Academy of Educational Sciences. In fact, the 100 teachers from the 40 colleges who attended the event and used elecworks™ as the main tool. Last, but not least Trace Software is also proud to announce the first sale of elecworks™ for PTC software solution in Taiwan to Far East Machinery CO., LTD (FEMCO), a famous manufacture of machine tools. Needless to say, more is yet to come. With a growing population and a rise in energy consumption and increasing industrial activity in many parts of the world – photovoltaics technology is one of the renewable technologies which has one of the greatest potentials for clean, reliable, scalable and affordable electricity systems to change the way energy is produced. 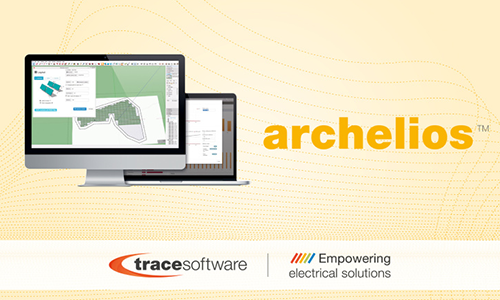 At Trace Software International, the archelios™ photovoltaic (PV) software range is designed to size your PV projects. archelios™ facilitates the best design quality and shorter development time with increased productivity and standardization. It also takes into consideration all the elements needed to put together a photovoltaic installation and offers vital information at each stage. Create designs, carry out simulations and then decide on the optimal solution. Combine information, design modular projects and generate rapidly high-quality projects. Choose the right place for panels – offering precise results and reliable data. The designers can identify the best possible setup for an optimal installation, for intelligent decision-making and increased productivity. archelios™ offers photovoltaic simulation features: thus, the match between the photovoltaic generator and the inverter is checked through the generation of a model diagram which can be manually optimized by the user in real-time. Offers a powerful, innovative and easy-to-use photovoltaic software that facilitates PV projects from start to finish. Design any project up to 50 kWp as well as use SketchUp plugin for 3D simulation along with worldwide meteorological database and automatic horizon line calculation. View your project in 3D and analyze each component. Our new archelios™ suite range allows the technical and economical optimization from design to operation and is composed of two major applications: archelios™ Pro & archelios™ Calc. archelios™ suite combines all the necessary features to produce a complete project, from the initial feasibility study to the final design. Multiple export formats during the different steps of your projects, from AutoCAD drawings to operation data. All the advantages of the classic archelios™ – archelios™ Pro allows photovoltaic (PV) professionals to design, edit, compare and share PV projects of any size with the utmost precision. All new advanced professional features that includes all the advantages & functionalities of archelios™. Plus, Terrain Tilt Analysis & Earth Move Wizard. Not to mention you can export your projects to AUTOCAD and Excel. This is the complete software solution for the real-time calculation, sizing and control of photovoltaic (PV) installations connected to the public grid. Allowing you to import projects directly from archelios™ & archelios™ Pro and provides detailed AC & DC Photovoltaic plant electrical schematic. Furthermore, our solution further allows you to size photovoltaic installations connected to the public network according to the IEC norms. Bringing all the benefits of 3D PVBIM mock-up to advanced PV monitoring. This accurate modeling, combined with sensors or satellite data, provides a precise computation of expected production as well as integrating 3D shading effects. Offering a single portal for all your PV plants with multiple configurable dashboards and multiple PV KPI´s. Our archelios™ software range offers a solar radiation calculator, photovoltaic simulator and solar system design that can be utilized by installers, consultants, developers, architects, investors and others. Thanks to its automatic pre-filtering function for devices compatible with the installation, archelios™ offers a list of references and catalogues which perfectly matches the specific technical setup defined by the user. This provides users real time gains. archelios™ O&M offers iimmediate on-demand and daily updates for a wide range of functionalities and a massive database (meteorological stations, solar panels, inverters, micro-inverters, batteries). archelios™ displays the most precise yield calculation in the world, based on a 3D simulation of the project as well as a complete analysis of the profitability of the installation. Our essential solution, archelios™ Calc ensures optimal security with real-time photovoltaic calculation of the installation and its control according to the NF C15-712-1 standard. 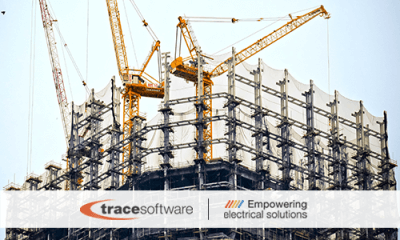 With 30 years of experience, Trace Software International, a leading company in the creation of design software solutions for the electrical engineering, is thrilled to announce that will launch elec calc™ BIM – a real game changer within the industry. Building Information Modelling (BIM) is here to stay, ready to disrupt old ways of doing things within the building industry. Previously, the design process in the construction industry – relied on multi-stage issuing of drawings – was characterized by fragmentation and poor collaboration between suppliers and contractors. Nowadays, all the stakeholders have access to the same database as BIM works as a digital planning method that creates digital representations of buildings where all the information is shared during the whole project life cycle. By placing information at the heart of the design project, it is easy to identify issues and to promote interoperability. Why elec calc™ BIM is a game changer? This is the world’s first and only calculating software that seamlessly integrates elec calc™ – the electrical tool used in the calculation and sizing of projects – with different design platforms enabling the importation of the digital model in IFC4 format, generated by any 3D architectural software’s (Revit, Archicad…). elec calc™ BIM offers engineers, developers, installers, energy producers and distributors, a uniquely powerful tool for sizing electrical installations. Including calculation models that will ensure rapid project development and a high-calculation-quality. Even when all stakeholders contributing to a project are working from the coordinated model, if that model only reflects the design elements of the asset then its value is still limited. elec calc™ BIM features the ability to build the one-line diagram from the explorer and also build the one-line diagram from the 3D mock-up. elec calc™ BIM allows information to be shared by different participants along the different stages of design, construction and operation. From the aspect of cable routing you have the ability for the calculation of cable lengths, and of the added cables as objects in the layout. elec calc™ BIM – it provides a powerful way to access the BIM objects thanks to the partnership with BIM&CO and stay current with this growing requirement of collaborative working. It’s understandable that model checking has tremendous importance for BIM. Model checking is a central element in design projects and by extension in BIM. With elec calc™ BIM, 3D model updates are available, import a review of IFC and receive a notification of the changes in the installation one-line diagram – Export IFC and BCF. By gathering and including real field data, the design, construction and management of a project can be based on reality. elec calc™ BIM ensures the integrity of the project, which allows for more precise decision-making and therefore cost reduction and time -saving. Why are discrimination studies among protections so important? 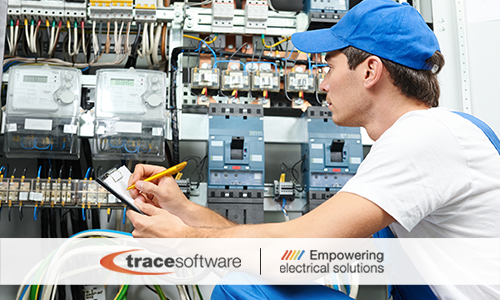 At Trace Software International we pride ourselves on having the best possible calculation software available for you with our software solution range elec calc™. We know that a good discrimination study allows the coordination of different protections at different levels of the installation, to guarantee the continuity of supply in the critical installations, in case of failure (short circuits and overloads). Our software solution helps with energy efficiency – elec calc™ is robust software offers critical calculations for factors such as earthing systems, cable ampacity, short circuit currents, thermal stresses, voltage drops and discrimination studies between protections that are key for the continuation of supply. What is a discrimination (selectivity) study? Discrimination (selectivity) is the selection of protective devices – so that the device nearest to a fault will trip rather than any device further ahead of it. With elec calc™ you can consider certain aspects such as management of cascading, limitation and multilevel discrimination functions, you can apply the relevant national and international standards that the solution adheres too. The terms “discrimination” and “selectivity” refer to the electrical current tripping of a device or piece of equipment, but basically refer to the same concept. This is due to the system being coordinated to discriminate between incoming and outgoing devices and prevent any further outgoing fault current from affecting the entire system. By using elec calc™ there are a number of unique features that make this calculation software very much in demand around the world. Electrical equipment is protected by the system protection equipment (circuit breakers etc). The protective devices have compatible characteristics to ensure that protective equipment closest to a fault, operates first. Electrical equipment not involved with the fault, remains in service. Discrimination (selectivity) there’s more to know: there are two degrees of selectivity – “partial” or “total”. Partial discrimination: selectivity is partial if the above condition is not fulfilled up to the bolted short-circuit current but only up to a lower value. This value is referred to as the selectivity limit. Total discrimination: for all fault values from overload to bolted short-circuits, distribution is totally selective if only the circuit breaker immediately upstream located above the fault opens. With elec calc™ you can check several operational scenarios such as emergency, network change-over – to analyse each operational condition using the behaviour and sizing of the installation. Why a discrimination (selectivity) study? Carrying out a discrimination study is critical to ensure the correct functioning of the electrical system in the event of possible faults. To guarantee project design calculation, quality, safety and power supply, companies must comply with strict design rules. With elec calc™ it is possible to proactively save money and reduce costly errors in the design process with quick selection of manufacturer´ or users´ references and verification of installation sizing with the relevant standards. elec calc™ complies with IEC standards (as well as many others) – electrical standards compliance – size according to the international and local standards, ensure the correct behaviour of the installation and comply with regulations in force. Domestic-type circuit-breakers must comply with IEC standard 60898, or an equivalent national standard. Defines the behaviour of a circuit breaker in relation to AC. low-voltage circuit breakers – Miniature Circuit Breakers (MCBs) – we find in our homes, schools, shops, and offices electrical distribution switchboards. The standard states that the top-rated current is 125A, while the lowest is 6A and maximum value of rated short-circuit capacity (Icn) is 25kA. These basic tech specifications tell us how different the use of circuit breakers defined by our two standards are. Industrial circuit-breakers must comply with IEC 60947-1 and 60947-2 or other equivalent standards. They protect electrical power distribution of up to 1000 volts AC and 1500 volts DC with whole spectrum of rated current from 0,5 to 6300A. Utilities and manufacturing facilities use them: air circuit breakers (ACBs), Molded Case Circuit Breakers (MCCBs) and miniature circuit breakers (MCBs). Safety can be combined with continuity of service using elec calc™ and the fault easily located. It is an especially important point for high-powered equipment, since this is generally located at the head of the installation and therefore has even greater consequences in the event of false tripping. Real-time – elec calc™ with its unique features such as HV/LV real time calculations, its intuitive and intelligent design mode, Intellisense, and its multi-level discrimination functionality, helps ensure the maintaining of power supplies. That is why elec calc™ features discrimination study by free selection of components along with dynamic graphical setting of the device with adjustable zoom. All these factors are vital within the sector for energy production, energy transformation or energy distribution. That is why the correct type of discrimination study is essential. For each type of fault there is a specific protective device (protection against overload, short-circuit or earth fault currents, or against loss of voltage, etc). Each of these faults can cause a loss of discrimination if coordination of the protective devices has not been considered. elec calc™ software features all the necessary functions and features to carry out a complete analysis of installations with detailed studies, giving you the very best solution for your project. For the very best in electrical sizing and calculation find out more from our sales team. Tracesoftware – Solutions you can count on. https://www.trace-software.com/wp-content/uploads/2017/11/discrimination-studies-ok-blog.png 300 500 Rossana https://www.trace-software.com/wp-content/uploads/2015/04/logo-home-ts.png Rossana2017-11-17 11:16:492017-11-17 11:16:49Why are discrimination studies among protections so important? INDUSTRY 4.0 – The Future of Productivity within Industry? At Trace Software International we are in-touch with the current trends of industries world-wide. Our software solutions are aimed towards the ever-changing trends that are continuously being adopted. From our electrical CAD design software, electrical calculation software to Photovoltaics (PV) software – we have all the bases covered. That´s why when you hear the term Industry 4.0 you may not fully understand what it is exactly. If you think back on the industrial revolution and what it did for the Victorians, then you can understand a little more the idea of Industry 4.0 and you get an idea of the type of change that has been taking hold of the industrial sector. Imagine a real-time connected supply/value chain. Imagine connected vehicles, containers and pallets. Imagine connected smart production equipment. Imagine connected mobile and wearable devices. Put simply Industry 4.0 embodies the coming fourth industrial revolution on the way to an internet of Things, Data and Services. Such industry sectors as the energy, automotive, and the production technology industries will be transformed by Industry 4.0. Industry 4.0 is the label, originally given by the German government in 2013, that described the gradual bringing together of traditional manufacturing and industrial practices with the increasingly technological advancements that we have in our world today. During the 18th Century we saw the beginning of mechanical production, while during the 19th and 20th century, mass production was allowed using electricity. The developments of electronics and IT, further automated production during the 1970s, creating the industry a third time. Industry 4.0 changes the model in the same way as predecessors have done so. Opening a host of new possibilities to improve process, projects and customer experiences. Change is always hard to adapt to, however, those companies that do adapt to new developments, the rewards will be high. For example, one of our newest software solutions elecworks™ for PTC® Windchill® is a link that operates with PTC® and its Product Lifecycle Management, (PLM) tool Windchill® which will enable you to control data access, manage revision control and full documentation through new automated abilities combined with the growing trends makes it a powerful solution for many companies. The Internet of Things (IoT): Connecting systems, devices, sensors, assets and people through networks – IoT-ready. Mobile solutions: Including smartphones, tablets. Cloud: Including low-cost processing and data storage solutions. Cyber-physical systems (CPS): Monitoring and controlling physical processes using sensors, actuators and processors, based on digital models of the physical world. Business intelligence Big data analytics: Using data and turning it into actionable insights, such as predictive models, early warning algorithms, workflows and dashboards. Advanced manufacturing technologies: 3D printing, robotics and artificial intelligence. Why Industry 4.0 is so important? The centralised and offline systems which are not interconnected, offered by traditional manufacturing and production systems, has been challenged by Industry 4.0. The idea is that these factories will evolve into smart factories whereby they will have the ability to self-manage issues and internal processes. Smart factories will enhance the supply chain and production line by adopting information and communication technology. This means, machines and equipment using self-configuration and self-optimisation and artificial intelligence will be able to deliver cost efficient tasks and services. One such company that is helping change the way on how industries are connected, operated and managed is called Green Systèmes based in France. It is an expert and multi-disciplinary team which helps to optimize the energy performance of buildings and equipment by simplistic interfaces, traceable data and effective monitoring, offering its solution to tertiary, industry, community and agriculture professionals. With energy saving, real-time data and remote control of equipment, is leading industry towards the next change industrial revolution. Manufacturers can now choose locations based on technical capabilities and proximity to consumer demand, rather than decisions driven primarily by wages. Quicker, more efficient production around the clock. Enables things like predictive and preventive maintenance and upgrades, which results in lower downtime and less capital expenditure over time. Collaboration along the entire supply-chain becomes possible, increased efficiency, optimization and innovation, in the long run across the manufacturing industry. Capture and analysis of data also means better record archiving and search capabilities. Many companies within various industries are embracing a greater number of connected technologies – to improve their processes. Industry 4.0 will change the entire manufacturing system, from the architecture and organizational structure to products, services and business models along with value chain. The development of these solutions will be incremental and part of a long-term trend, but the opportunity is already here today for many to utilise. https://www.trace-software.com/wp-content/uploads/2017/11/industry-4.0-blog.png 300 500 Rossana https://www.trace-software.com/wp-content/uploads/2015/04/logo-home-ts.png Rossana2017-11-15 16:34:512017-11-15 16:42:22INDUSTRY 4.0 - The Future of Productivity within Industry? 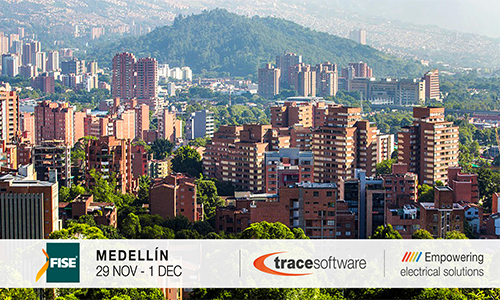 With 30 years of experience, Trace Software International, leading company in the creation of design software solutions for the electrical engineering, is thrilled to announce that will exhibit at the 7th edition of Fise in Medellin (Colombia) on November 29th and 30th and December 1st, 2017. 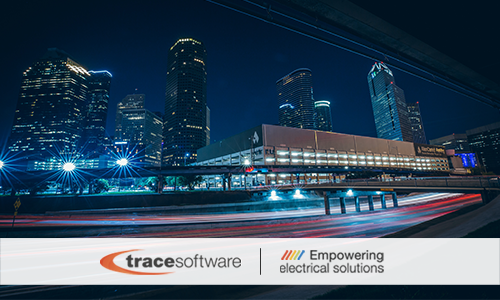 Trace Software International will participate at Fise – the most important specialized event in the electrical industry in the country of Colombia. This special fair trade offers a unique space to unlock overseas business opportunities, boost commercial exchanges and promote relationships with the different stakeholders from the international markets, especially those from Latin America and the Caribbean. This is an excellent setting for the company to showcase its three winning software solutions: elec calc™ BIM, elecworks™ and archelios™ O&M for the buildings of today and tomorrow. Therefore, Trace Software International will hold a technical conference on the 30th of November regarding software tools within the electrical engineering industry, exposing he company latest researches and advances in BIM and PV BIM. Trace Software International will be welcoming you at booth RO – 066, Red Hall, during all the trade show event. elec calc BIM stands out as the exclusive electrical design solution satisfying the upcoming BIM challenges. This is the world’s first and only calculating software that seamlessly integrates elec calc™ – the electrical tool used in the calculation and sizing of projects – with different design platforms enabling the importation of the digital model in IFC4 format, generated by any 3D architectural software’s (Revit, Archicad…). Several simulations can be done to compare the possible routing scenarios. The 3D model allows the detection of any conflicts. If this is case, the information is directly sent to the designer thanks to the BIM Collaboration Format (BCF) so he can fix the problem and correct his model. elecworks™ is the innovative electrical CAD software for the design of automation projects and electrical installations. With 30 years of experience, it possible to affirm electrical engineering is in the company DNA. Available in 16 languages, elecworks™ is also the best-selling electrical CAD solution worldwide. Automatic multi-level bridges bring automation to the next stage. It allows saving time when defining bridges for terminals that share the same equipotential. Automatic routing for PTC®Creo® The first ever product able to work in real time with the mechanical research department using the digital model of the 3D project. Now you also will route cables and wires by your paths and ducts. Automatic integration between elecworks™ 2018 and PTC Windchill (PLM) which guarantees the integrity of your design project. Fise will take place in Medellin (Colombia) on November 29th and 30th and December 1st, 2017. With over 350 Colombian and international exhibitors, Fise is a high level commercial and academic event bringing together the electrical industry’s policies, trends, vision and challenges. Since the beginning and now on its seventh edition, FISE has promoted the appropriate dialog amongst energy industry members who seek new corporate and business opportunities, promoting the electrical sector in national and international markets. Trace Software International is looking forward to welcoming you at booth RO – 066, Red Hall, during all the fair-trade event. The reality of the Building Information Modelling (BIM) has become a necessary tool in the building industry and Trace-Software is at the leading-edge by combining electrical calculation and sizing with BIM. The architecture, engineering, and construction (AEC) industry has always pursued techniques to reduce-costs of projects while at the same time, increase-productivity, quality, and reduce-delivery -time. The building information modelling (BIM) has increased in use over the last 6 years as an innovative way to design and manage projects. By adopting BIM, it can improve building performance and operations due to its collaborative approach. As the use of BIM globally grows, collaboration within project teams will also increase, which will lead to improved profitability, reduced costs and better management of time. BIM simulates the construction project in a virtual setting. With BIM technology, an accurate model of a building, known as a building information model, is digitally produced. The building information model contains precise geometry and relevant data needed to support the design, procurement, fabrication, and construction activities required to realize the building. A building information model characterizes the geometry, spatial relationships, geographic-information, quantities and properties of building elements, cost estimates, material inventories, and project schedule. The concept of BIM and its implementation is quickly becoming compulsory on all centrally procured public sector and private sector projects in many countries around the world. The USA was perhaps one of the first countries to adopt the use of BIM and has taken significant steps in this regard. For example, General Services Administration (GSA) in 2003, established a National 3D-4D-BIM Program through its Public Buildings Service (PBS) to support the use of BIM and mandated the use of BIM for all projects from 2007. Many organisations have taken important steps to review and adopt the new approach of BIM by appointing a BIM manager to address how BIM is used, for example. Below are some of the countries already using or aiming to implement BIM standards. The way of designing the construction of buildings is changing with the utilisation of BIM. It is now becoming a legal standard for most countries and those not using it are working towards using it. There are potential risks associated with BIM that can be separated into two broad categories: legal (or contractual) and technical. The need to protect BIM-data through copyright laws and other channels can cause issues if it is not property set-out. A way to deal with these risks is to ave collaborative, integrated project – Delivery contracts, in which the risks of using BIM-data are shared among the project participants along with the rewards. This will help assist stakeholders define the model management, frameworks and ensure traceability. The financial and productivity benefits of using BIM-data within the AEC industry are widely known. The technology to implement BIM is available and rapidly growing, ensuring the growth of the concept. With a standardisation of Levels and more and more countries adhering to the standard, BIM is here to stay. Unlike other industries, the Engineering & Construction sectors have been slow to adopt new technologies, until BIM arrived. BIM is the digital revolution within the construction world. A revolution ready to disrupt the industry, automate and revolutionize it, as well as bringing significant saving in time and costs and quality. BIM, stands for “Building Information Modelling” – is a working environment, a value creating collaboration during the whole project cycle. The Building Information Model – the digital description of each aspect of the building process, is one of the key elemental outputs of the process, aimed to create a more efficient construction sector. The French national strategy for digitizing the construction industry called ‘Plan for the digital transition in the building industry’, released in April 2017, identifies standardization and pre-standardization as being essential for the success of the digital transition within the industry and places France in a leadership position amongst the European countries. At this stage of the BIM official implementation is fundamental to create a principle framework. BIM is not something new, it existed for a long time even if many countries are just starting to consider it now driven by several economic and environmental factors. 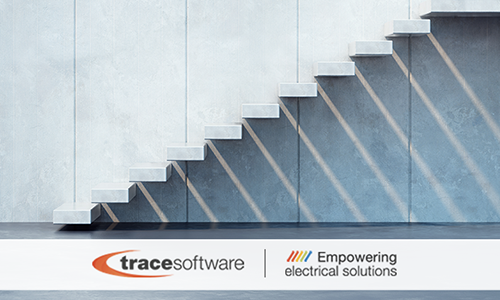 Trace Software International (TSI)- successful company with 30 years of experience in the development of software solutions for electrical engineering and with a unique expertise in the design of electrical installations- is glad to announce its strategic alliance with CIRCUTOR. CIRCUTOR is a leading and well-established company with over 40 years of experience and solutions in more than 100 countries. With six productions centers, their efforts are constantly dedicated to the design and manufacture of equipment to improve energy efficiency: equipment for measurement and control of electrical energy and quality of supply, industrial electrical protection, reactive compensation and harmonic filtering, intelligent recharging of electric vehicles and renewable energy. 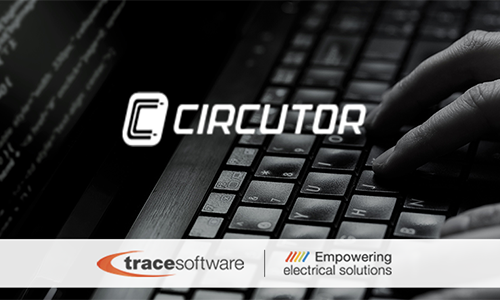 CIRCUTOR has strategically chosen Trace Software International. 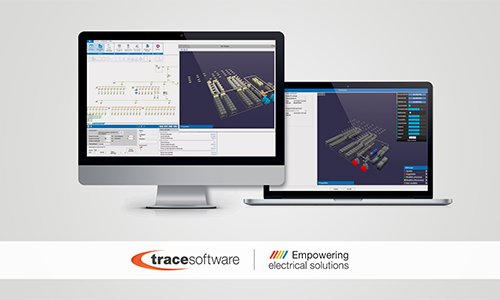 In fact, its components are already available and seamlessly integrated within Trace Software International Electrical Content Portal. Based on web technology, it represents the worldwide renown leading platform for manufacturers certified data. “We are very happy of having Circutor Catalogue in our Electrical Content Portal. Collaborating with such a global player undoubtedly confirm our leading position in the market. Thanks to our solid experience and know-how, we count with the most comprehensive database of the most important manufacturers in the market. They trust us, they want their digital components to be in the Trace Software International Electrical Content Portal. The benefits are massive and mutual.” said Pedro Puig – CEO of Trace Software International. The Electrical Content Portal (ECP) not only takes advantage of a large volume of reliable and certified digital contents that can be used immediately in the development of any electrical project, guaranteeing in this way the precision of the bill of materials (BOM) – amongst other benefits. Also, counting with the most comprehensive database of the most important manufacturers in the market, consistently reinforces partners notoriety accordingly to the leading position Trace Software International has gained in the market during its 30 years of experience. Additionally, the platform provides with an unparalleled network of members seeking for certified, standardized and homologated information for their projects. In fact, the reliability and the immediate availability of accurate and exhaustive digital contents is key for any technical design professional aiming to guarantee the quality and integrity of the electrical projects. The Electrical Content Portal is linked to a world-leading digital engineering 3D content company – TRACE PARTS, that counts with more than 3 million users worldwide. Based on the latest web technologies, the Electrical Content Portal (ECP) is a portal of accessible content online or directly through elecworks™ software, aimed at users with a subscription. BIM is becoming a global language for the infrastructure and construction sector, enabling greater collaboration and movement of capabilities across borders. 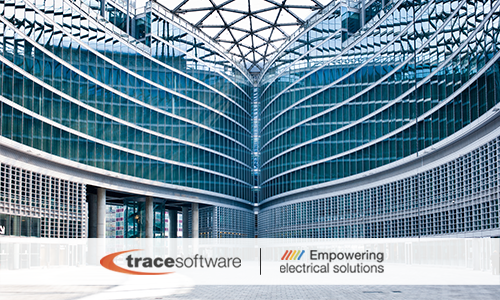 Trace Software International is at the forefront of integrating its electrical calculation with BIM. With our exciting partnership our of software elec calc™ and BIM & CO – produces a powerful combined software for BIM. The Building Information Modelling (BIM) has been a growing, valuable tool in the hands of anyone who works in the building industry. That is why our elec calc™ BIM solution meets the changing demands within the construction industry. This a module that integrates calculation software in BIM with the following iterative processes: Facilitating the flow between a 3D model and the electrical sizing and calculation that all meet the IFC format standards. Based on this information, the full life-cycle of a building, from initial conception to project completion, can be managed effectively. In that sense, it’s an indispensable part of the decision-making process. BIM refers to a collaborative method of working which is based on the generation and exchange of data between various project parties on the same project. In our elec calc™ BIM solution it features the ability within installation, to build the one-line diagram from the explorer and also build the one-line diagram from the 3D mock-up. It provides a powerful way to access the BIM objects and stay current with this growing trend in construction design. Architecture, engineering, and construction (AEC), for a long time these industries have sought out to increase productivity and quality, while at the same time decrease costs as well as project delivery time, hence using BIM gives the best potential in reaching these goals. BIM simulates the construction project in a virtual environment. Just as in our elec calc™ BIM solution allows you to create a one-line diagram of electrical an installation from the BIM model and define the cable routing (calculating lengths, adding cables as objects). The key benefit of a BIM is its accurate geometrical representation of the parts of a building, in an integrated data environment. Some great features of elec calc™ BIM include IFC Explorer, your electrical objects are recognized from IFC data and interactions between Explorer, 3D Viewer and elec calc™ one-line diagram, identifying components in real time between your 3D Viewer and the one-line diagram. The BIM maturity model describes levels of maturity with regards to the ability of the construction supply chain to operate and exchange information. The BIM model levels are applied to the entirety of the project scenario however a company may claim to operate at Level 2 but, can only operate at Level 1 which is very normal as companies or organisation mature on different timescales. There are different levels of shared collaboration in a construction project. Those are known as BIM maturity levels. As we proceed through the levels, the collaboration between the various sides is increasing. At the time being, there are four distinct BIM maturity levels. It’s the simplest step of the information generating process. It doesn’t practically involve any level of cooperation. Level 0 is essentially the use of computer aided design (or CAD tools) to create drawings and drawn elements using IT software. Within Level 1, we progress from CAD to generate suites of 2D information, followed by non-federated 3D models. The focus of interest on this level is the way in which the information is shared across the various project members. BIM Level 3 is the goal for the construction industry. Its main point is the attainment of full integration (iBIM) of the information in a cloud-based environment. The maturity model is also used to define the supporting infrastructure required at each level of capability. A common misconception around BIM relates with its dimensions. The dimensions are different than the BIM maturity levels. BIM dimensions are inextricably connected to the type of data that can become available through the process. They can be found both in BIM Level 2 and Level 3. 3D: It refers to 3D generated drawings. 4D: It is linked to time management. 5D: It concerns data that relates with the cost of the project. 6D: It’s a dimension dedicated to the life cycle management of a building. What can BIM working do, that conventional working can’t? elec calc™ BIM allows information to be shared by different participants along the different stages of design, construction and operation. From the aspect of cable routing you have the ability for the calculation of cable lengths, and of the added cables as objects in the layout. Model checking could be described as the detailed process of examining a system model on if it is meeting certain criteria. It’s understandable that model checking has tremendous importance for BIM. Model checking is a central element in computer science and by extension in BIM. With elec calc™ BIM, 3D model updates are available, import a review of IFC and receive a notification of the changes in the installation one-line diagram – Export IFC and BCF. There is no question that the concept of collaborative working has become more popular over the years and is now becoming the standard practice for many countries and companies.